A Mudra is a symbolic hand position. 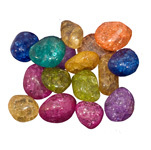 Its purpose is to evoke specific concepts of Buddhist philosophy in the mind during meditation. 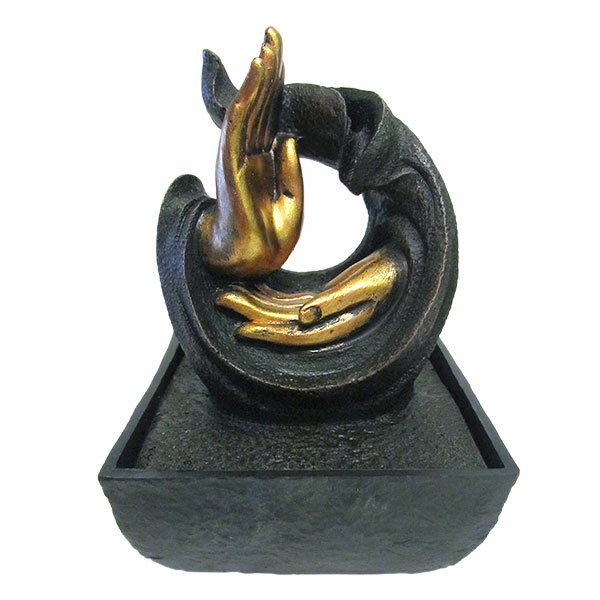 This resin fountain shows Abhaya Mudra, the gesture of fearlessness or power. 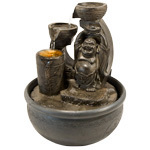 Place this fountain in a favourite space of the home for protection and inspiration. 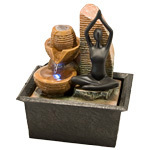 Fountains can be placed indoors or out to induce stress relief and relaxation. 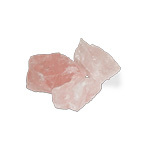 They act as a natural humidifier and can improve the air in a home with added negative ions. 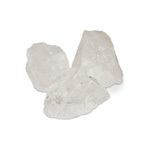 YouÕll be amazed at how a soft flowing water sound can drown out less enjoyable noise.